Tayler Scott does not have any MLB stats for the season. Draft: 2011, Chicago Cubs, 5th rd. Tayler James Scott…resides in Johannesburg, South Africa…selected by the Cubs in the 5th round of the 2011 Draft…attended Notre Dame Prep (AZ) High School… grew up playing soccer and did not discover baseball until age 8. Spent the year with Triple-A Round Rock, going 5-5, 3.26 (22 ER, 60.2 IP) with 1 save with 52 strikeouts and 25 walks in 44 games…first invite to Major League Spring Training. Posted a career high in relief innings, going 4-7 with a 3.25 ERA (27 ER/74.2 IP) and 3 saves over 54 relief outings in the Milwaukee and Texas organizations…posted career highs in both SO/9 (9.2) and BB/9 (4.8)…began the season with Biloxi (AA) and had the 2nd-most relief appearances on the club prior to the trade…was acquired by Texas on 7/31, in exchange for RHP Jeremy Jeffress…assigned to Round Rock and allowed runs in 6 of 12 outings with the Express. Finished the season in the Milwaukee organization after spending time in the Independent American Association… was released by the Chicago Cubs on 3/29 and signed with the Sioux City Explorers on 4/21…was 0-1 with a 1.88 ERA (6 ER/28.2 IP) and 32 SO/6 BB in 17 relief appearances with the Explorers... signed by Milwaukee as a minor league free agent on 7/4 and logged 24 relief appearances with Biloxi over the remainder of the season…was 0-1 with a 1.88 ERA (3 ER/14.1 IP) over 9 relief outings with Salt River in the Arizona Fall League. Combined to go 6-3 with a 3.83 ERA (23 ER/54.0 IP) over 26 games/one start with Myrtle Beach (A+) and Tennessee (AA) in the Cubs organization…posted a career-best 8.0 SO/9 rate… opened season with Myrtle Beach and promoted to Tennessee on 5/30…was on the disabled list, 7/20-8/18, with right shoulder inflammation. Started a career-high 26 games at Daytona (A+) in last full season as a starter. Logged a team-high 24 starts for Kane County (A). Named the 17th-best prospect in the Northwest League after compiling a 2.52 ERA (20 ER/71.1 IP) over 15 starts with Boise. Pitched 3.2 innings with the AZL Cubs in pro debut. January 24, 2019 Seattle Mariners signed free agent RHP Tayler Scott to a minor league contract and invited him to spring training. January 24, 2019 RHP Tayler Scott assigned to Tacoma Rainiers. 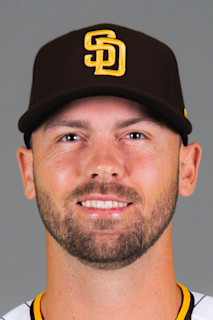 January 24, 2019 RHP Tayler Scott roster status changed by Seattle Mariners. November 2, 2018 RHP Tayler Scott elected free agency. April 30, 2018 Tayler Scott assigned to Round Rock Express from Frisco RoughRiders. April 29, 2018 RHP Tayler Scott assigned to Frisco RoughRiders from Round Rock Express. January 29, 2018 Texas Rangers invited non-roster RHP Tayler Scott to spring training. August 1, 2017 RHP Tayler Scott assigned to Round Rock Express. July 31, 2017 Texas Rangers traded RHP Jeremy Jeffress to Milwaukee Brewers for RHP Tayler Scott. July 6, 2016 Milwaukee Brewers signed free agent RHP Tayler Scott to a minor league contract. July 6, 2016 RHP Tayler Scott assigned to Biloxi Shuckers. March 30, 2016 Tennessee Smokies released RHP Tayler Scott. August 19, 2015 Tennessee Smokies activated RHP Tayler Scott from the 7-day disabled list. July 20, 2015 Tennessee Smokies placed RHP Tayler Scott on the 7-day disabled list. May 30, 2015 RHP Tayler Scott assigned to Tennessee Smokies from Myrtle Beach Pelicans. March 29, 2015 RHP Tayler Scott assigned to Chicago Cubs. March 30, 2014 Tayler Scott assigned to Daytona Cubs from Kane County Cougars. September 3, 2013 Kane County Cougars activated RHP Tayler Scott from the 7-day disabled list. August 29, 2013 Kane County Cougars placed RHP Tayler Scott on the 7-day disabled list. July 21, 2013 Kane County Cougars activated RHP Tayler Scott from the 7-day disabled list. July 17, 2013 Kane County Cougars placed RHP Tayler Scott on the 7-day disabled list. April 1, 2013 RHP Tayler Scott assigned to Kane County Cougars from Boise Hawks. June 12, 2012 Tayler Scott assigned to Boise Hawks from AZL Cubs. August 25, 2011 Tayler Scott assigned to AZL Cubs. August 15, 2011 Chicago Cubs signed RHP Tayler Scott.